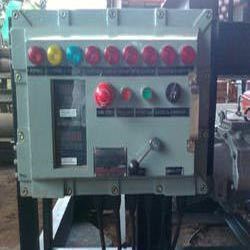 Manufactured in compliance with the set industry norms and guidelines, quality of this Flameproof Instrument Control Panel never deteriorates. 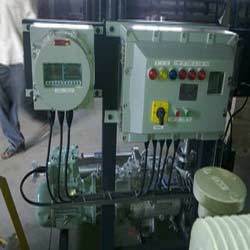 Making of this product done utilizing the finest raw materials and modern machines, its user friendly nature, performance, capacity and service life, is widely acclaimed and asked for. 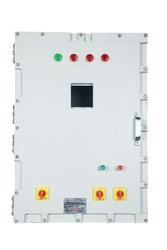 IP Protection IP66 : 360mm(W)x300(H)x100mm(D), 290mm dia. 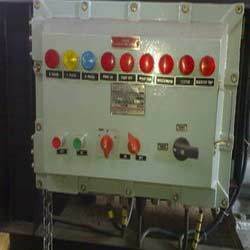 Cable Entry: As per customer specification. 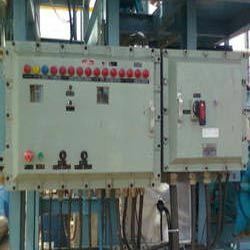 Size & type like NPT/METRIC/BSP/ET or Equivalent Size. 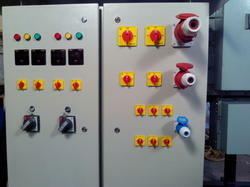 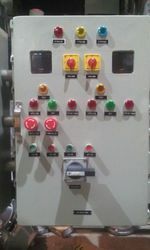 We are well known enterprise engaged in manufacturing and supplying highly viable Flameproof VFD Control Panel. 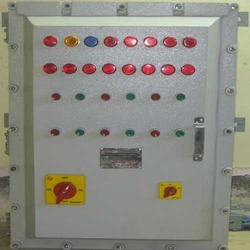 The offered panels are developed with high grade aluminum alloy, which makes it highly viable for junction boxes and power control centers. 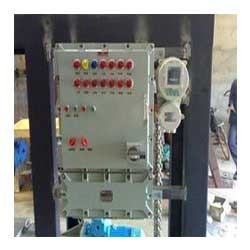 We implement latest techniques to render Zone 1 & Zone 2 protection to these panels which can be ordered from us in NPT/METRIC/BSP/ET size and types at a competitive price. 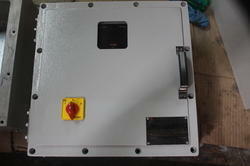 The insulation is enclosed and is covered with transferable panels circulation pump with Flameproof Vacuum Control Panel. 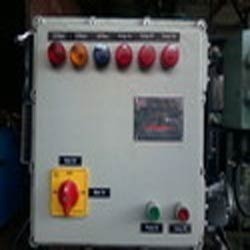 Temperature control system is done by electronic digital temp controller fitted in the control panel.